With Education First, there are no surprises, no gotchas. We keep our fees as low as possible, but we do have to charge them on occasion. Here's what they are and where you can expect to find them. 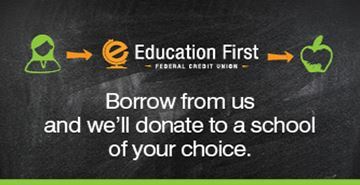 This Fee Schedule sets forth certain conditions, fees and charges applicable to your Share (Savings) Accounts, Christmas Club Accounts, Money Market Accounts, Checking Accounts, IRA Savings Accounts and Special Accounts at Education First Federal Credit Union, and is incorporated as part of your Account Agreement with us. A membership share in this credit union is $5.00 and not available for withdrawal unless the account is closed. For current fee information, call us at (409) 898-3770. * Not applicable when “Touch Tone Teller” service is unavailable or Online Banking services are not available. ** Some account types may result in fees being waived or reduced.